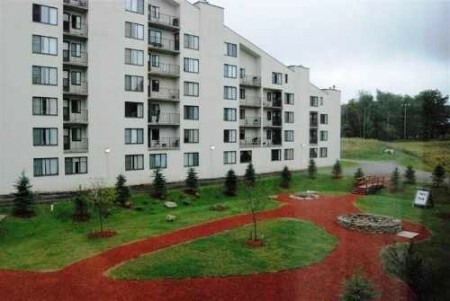 Mountain Resort Condos being offered the modern way at PUBLIC AUCTION. This auction in cooperation with our friends at United Country Riverbend USA and The Motley’s Auction Group. Beautifully decorated, fully furnished and in perfect move-in condition, these fine properties have received a Gold Rating from Snowshoe Mountain Ski Resort and have a great rental history. Financing Available: 30-year conventional loan with 25% down at 7% for the first 5 years, adjusted each five years thereafter. Please contact Motley’s for additional details. Two-Bedroom condos feature a fully equipped kitchen with microwave and dishwasher, a living area with wood-burning fireplace and queen-size sleeper sofa, washer and dryer, private balcony and two separate bedrooms each with private bathrooms. Two-Bedroom condos are recommended for two to six guests and are located at the Silver Creek Lodge. Two-Bedroom Loft Condos feature a fully equipped kitchen with microwave and dishwasher, a living area with wood-burning fireplace and queen-size sleeper sofa, washer and dryer, private balcony and a separate bedroom and bathroom on the first floor. The loft features a separate bedroom featuring a king-size bed with private bathroom. Two-Bedroom Loft condos are recommended for two to six guests and are located at the Silver Creek Lodge. One-Bedroom condos feature a fully equipped kitchen with microwave and dishwasher, a living area with wood-burning fireplace and queen-size sleeper sofa, washer and dryer, and a private balcony with slope-side views. One-Bedroom condos are recommended for two to four guests and are located at the Silver Creek Lodge. Studio apartments are furnished with a mini-kitchenette (dishwasher, microwave and apartment size refrigerator), Murphy bed, sleeper sofa and full bathroom. Studio apartments are available with either courtyard or poolside views. Studio apartments are recommended for two to three guests and are located at the Silver Creek Lodge. Settlement: Closing is to occur 30 days from day of sale. Upon settlement, buyer will be provided a General Warranty deed for the property. TIME IS OF THE ESSENCE. Buyer’s Premium: A Buyer’s Premium of ten percent (10%) will be added to the high bid and included in the total selling price paid by the buyer. The deposit must be a cashier’s check or personal/company check accompanied by an irrevocable letter of guarantee with the current date on bank letterhead. All checks to be made payable to Riverbend USA Trust Account. If initial deposit is less than 10% of the high bid, then winning bidder’s deposit MUST be increased to 10% of the high bid, either by personal check on the day of the auction or by cashier’s check or wired funds no later than 5:00 pm on October 21, 2009. Please call the office at 304.661.6543 for more information or to register today!